Gauntlet crystal award with a crystal football on the top. Available in 3 sizes, 155mm, 180mm and 200mm high. 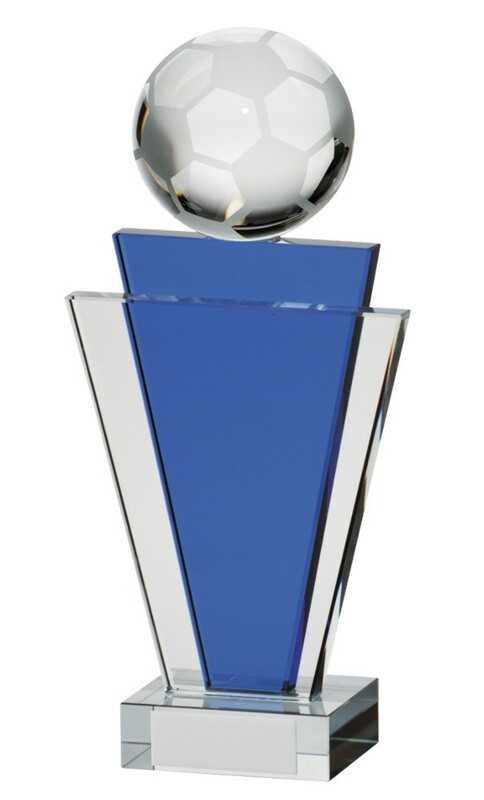 3D crystal football with clear and blue glass panels, mounted onto a crystal base, great award for that special person.